Professor Simon French has received the highest award of the Decision Analysis Society (DAS), the 2017 Frank P. Ramsey Medal. 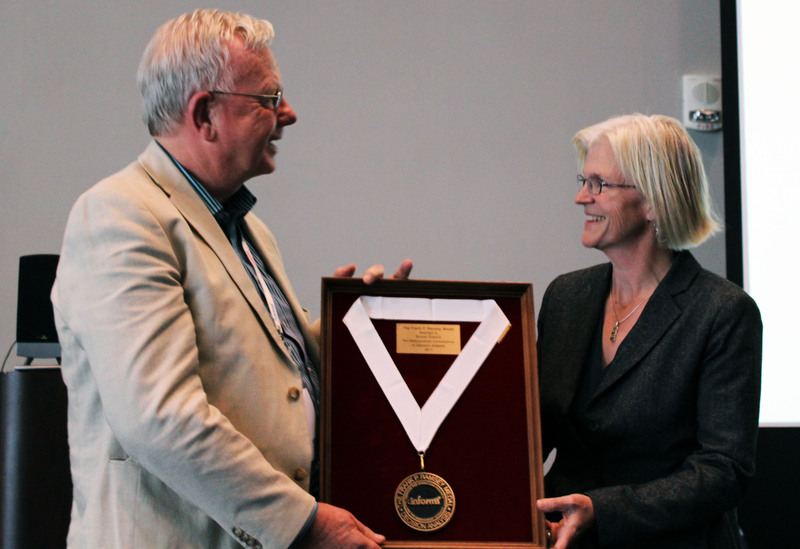 The award recognises Professor French’s numerous contributions to the theory and practice of decision analysis. This includes the publication of six books focused on Bayesian statistics and decision theory. In addition to these books, Professor French has nearly 200 other publications and is currently editing a book entitled Expert Judgment in Risk and Decision Analysis. The medal is named in honour of Frank Plumpton Ramsey, a Cambridge University mathematician who was one of the pioneers of decision theory in the 20th century. “More than 40 years ago when I was studying for my PhD, I read F P Ramsey's work and his ideas have stayed with me throughout my career. I am particularly pleased therefore to have won this award. Much of Professor French's work has centred on expert judgment and probability elicitation, which includes highly cited work on group consensus probability distributions, Bayesian statistics, and multi-criteria decision making. After the Chernobyl incident in 1986, he became deeply involved in the field of risk communication. This led to a string of papers and work focused on nuclear and food safety. More recently, he has become interested in social decision making and democracy in the internet age. The award was presented on October 23, 2017, at the INFORMS Annual Conference.